Some people say that your glory days should not be behind you, that you must live in glory every day. I leave it up to you to decide that, but in my life there’s definitely some glory that has left and will never come back. Like the tan I like to believe I had when I lived in Puerto Rico. I miss performing and/or making a fool of myself in public. I don’t know how your schools were, but I went to some pretty cool schools in which it was actually expected for you to put up skits and parodies on a regular basis. Whether it was at Girl Scouts camp, ballroom dancing, school pep rallies, college dance showcases or talent shows, me and my friends would put up a show. I want to believe that I still can go back to it if I really wanted to, but it’s not that easy. Time is not a renewable source and something about all the effort that it would take for me to go to a dance class and be part of a dance group again makes it feel like more of a job than a hobby. 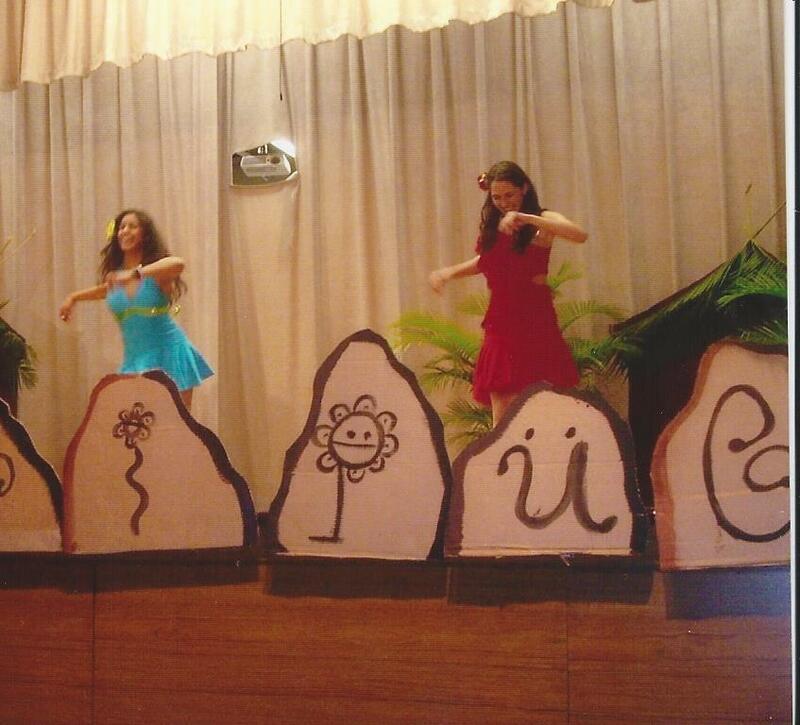 I used to happily go to talent show dance practices on the weekends, no complaints. Then again, I had practically no worries and dancing meant spending time with my friends. I do miss dancing, but I guess I’m also feeling nostalgic for the simplicity of being able to do what you wanted to do without limitations or complications. Now every single decision has a consequence repercussion, your time is scarce, yet you still spend it lounging around playing silly games. I do still have the same 24 hours on each day, what has changed? Oh yeah, I grew up. 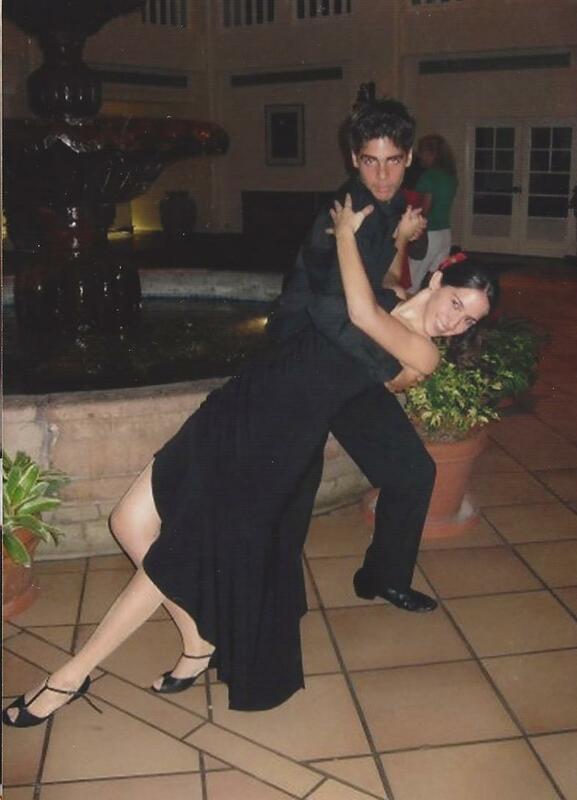 Although I don’t remember, I’m pretty sure the dance me and my friend are performing in the picture above was choreographed like 2 days before and was a result of a very productive dance night full of laugh attacks interruptions (or paveras). I’m actually not embarrassed of this picture, I’m actually pretty proud of it, not gonna lie. In the picture above, I was playing the queen. 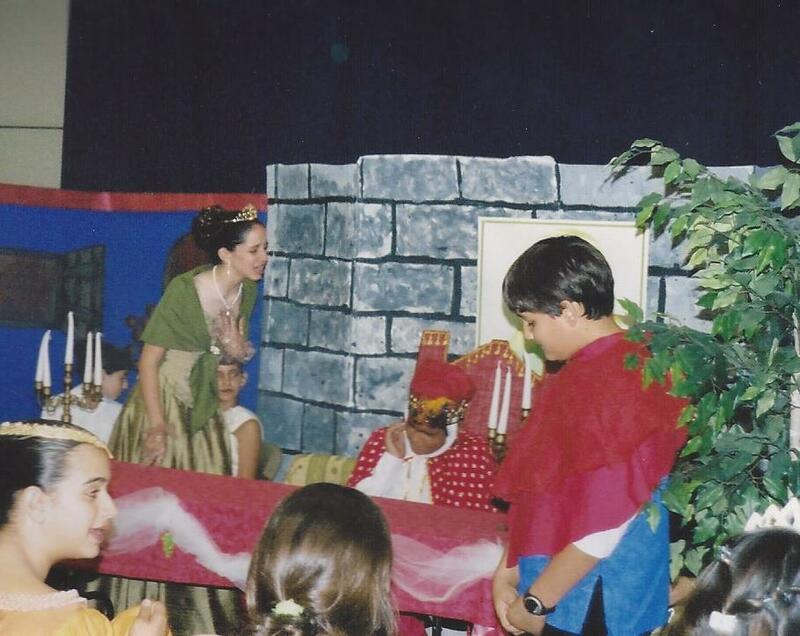 All I remember from this play is that my husband, the king, had issues with his molars.